Home JAMB UTME and DE Guides Can I Use My Last Year JAMB Result For this year or Next Year? 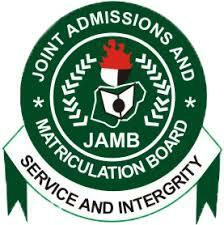 Can I Use My Last Year JAMB Result For this year or Next Year? I throw you a post about this when it was propose that JAMB result should be you used for three admission years. You can check the post here. And back to your question: can I use my 2018 result in 2019 or 2019 in 2020 etc? I know you’re getting your information somewhere – where you’ve been told that last year result could be used for another year admission. It’s was proposed that candidates should be using their UTME score for more than one year but this bill never see the light of the day. It wasn’t eventually passed into law. Hence, you can’t use it – at least for now. Why Can’t I use My UTME Result Next Year? I think this was well defended by the former JAMB registrar – prof. Dibu Ojerinde. The old man said JAMB is meant to test students’ academic ability not intelligent quotient (IQ). If JAMB is such as exams that test IQ, it could be adopted to be used for more than one year. However, this basis was not acceptable because O’level results such as WAEC, NECO and NABTEB can be used for years and they too, are not to test our IQ. Conclusively, don’t duel on the dream that this or last year result can be used next year. That may happen in the future but not for now.